On Wednesday, November 21, 2018, on the Eve of Thanksgiving, a 79 year old female resident of Norwalk left a local grocery store on Pioneer Boulevard carrying groceries she purchased for a Thanksgiving Day celebration. Her family would be arriving from out of town the following day, and she wanted to buy last minute items for the occasion. After leaving the grocery store, bags in hand, she began walking eastbound across Pioneer Boulevard near Lindale Street, when a driver struck her. The vehicle was traveling northbound on Pioneer Boulevard and the driver never stopped to render aid to the now critically injured woman. According to the time stamp on her receipt, exactly four minutes after purchasing her groceries, Norwalk station began receiving calls requesting help for the now dying woman. At 5:08 P.M., deputies rushed to provide assistance to the lady. Ultimately she succumbed to her injuries as a result of the hit and run. With no means of identifying the woman, and no leads for Norwalk station investigators, she remained unidentified until the woman’s family arrived at her house Thanksgiving Day unaware of the tragedy that occurred the day prior. 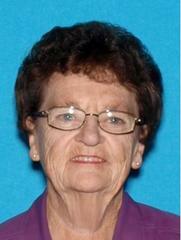 Concerned for their loved one, the family contacted Norwalk Station and the woman was identified. There is no information about the suspect vehicle, or the suspect at this time.